USN researchers explain Norway’s approach to circular economy and food waste, in a new Parliamentary Research Journal in Sri Lanka. Ansgar Ødegård and Chamara Kuruppu at USN School of Business focus on how Norway has ended up being one of the frontrunners in terms of achieving a sustainable society, and as an active contributor to global sustainability. At the same time they highlight some of the challenges that also faces a rich, well organized society as the Norwegian. 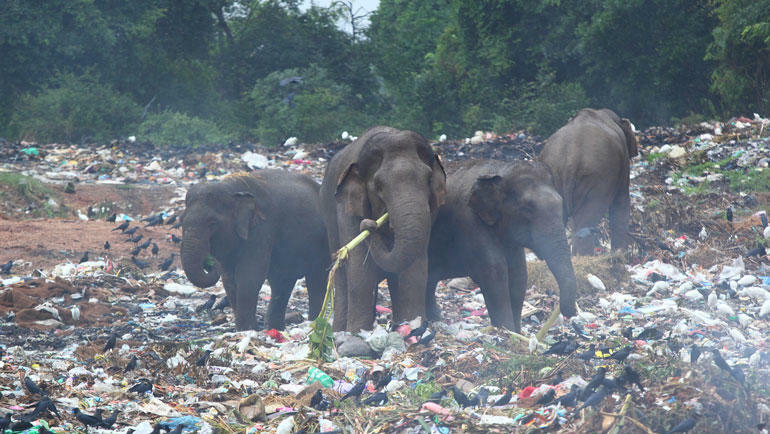 As so many other developing countries Sri Lanka struggles with large amounts of waste, ending up in huge mountains, causing damage to public health, local pollution, accidents and huge CO2 emissions. "This industry is mainly organized and represented by it's industry association, namely “Norsk Avfall” (Norwegian Waste), which accounts for 95 % of the waste management in Norway. This association is responsible for managing both industrial and household waste. In accordance with the long standing tradition of collaboration between business actors and the public authorities generally in the Nordic countries, the waste industry in Norway is founded on the same sustainable principles of collaboration. For example, municipalities in the Vestfold County and a private company cooperate in the collection and disposal of waste, and the production of Biogas. " "The last few decades the waste industry is characterized by a rather radical change concerning how waste is viewed. Traditionally, the waste was considered not to generate any future economic gain, whilst the management of waste was largely about storing the waste in huge garbage dumps, in an acceptable, secure and proper way. However, the changing view on waste suggests a different way of treating waste meaning that waste is appreciated as source of input (resources). Accordingly, the initiatives of reusing and recycling waste play a particular role in pursuing our sustainable future and our march towards a “Green Economy”, which is termed as “the Green Shift” by the Norwegian government. Under the rubric of “The Green Shift”, both Norwegian Government and waste industry actors endeavour to develop a Circular Economic Perspective – humans use and reuse resources until the end of their useful life and thereafter reuse in the process of production again to produce something useful. " According to Ødegård and Kuruppu this radical shift in how waste is considered, is also moving into many other industries. Their own research concerning major Nordic companies like retail chains, hotels and financial institutions, show a growing shift in their attention, recognition and ability of rethinking and changing the way that they run their business. They use Swedish world-brand IKEA and the Norwegian hotel-brand Nordic Choice as two examples. "Environmental and climate issues seem to become more integrated into the core business and the organizational identity"says Ødegård and Kuruppu. They say minimizing food-waste is an important challenge to tackle, in a world where food that could be given to humans, instead end up as waste, or animal food. The Norwegian Government and the food industry recently signed an agreement to reduce food waste in Norway by 50 percent by 2030. "According to the Government, the food industry's actions will be the deciding factor in reducing the waste by 50 % within 2030. A crucial trigger for this ambitious food waste reducing goal is The United Nations (UN) sustainable 17 targets accepted in 2015" says Ødegård and Kuruppu. "In spite of launching a broad range of “green” goals, strategies and activities, the Norwegian Authorities and the industry may fail in the long term if future waste management system founded in the aforementioned mechanistic worldview still prevails. Accordingly, we suggest a radical change in worldview, a shift toward circular economic perspectives characterizing society as a whole - public authority, business entities, civil society and the consumers. If not, the probability of achieving the ambitious goals seems rather uncertain and the goals thus might for the mostly be symbolic with little or no substance at all. " Ansgar Ødegård and Chamara Kuruppu have written the essay "Sustainable Development Aspirations in Norway: A perspective on circular economy and food waste». 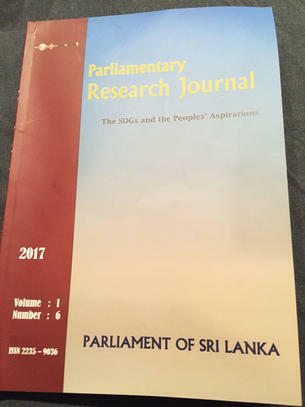 The essay is part of Parliamentary Research Journal, Volume 1, Number 6 in Sri Lanka. The primary objective of the Journal is to focus on important issues which need the attention of the entire nation. Instead of short-term, unsustainable programmes comprehensive lang-term policies have to be formulated. It is expected that the Parliamentary Research Journal would provide a platform for serious discussion on crucial national issues. "For the year 2017, we have selected "The SDGs and the Peoples' Aspirations" as our theme. The Sustainable Development Goals are a universal call to action to end poverty, protect the planet and ensure that all people enjoy peace and prosperity. It was adopted by world leaders in September 2015 at an historie UN Summit. These 17 Goals build on the success of the Millennium Development Goals (MDGs) while including new areas such as climate change, economic inequality, innovation, sustainable consumption, peace and justice, among other priorities. The Goals are inter-related. The spirit of partnership and pragmatism are important in achieving the SDGs All countries are expected to formulate strategies to overcome challenges. The SDGs deal with the root causes of poverty. As the inhabitants of this planet we must act with responsibility to make positive changes. We need a common plan to address burning problems such as poverty, climate change and conflict. Our aim is to transform the world by 2030. In this issue of the Journal many relevant areas have been probed by the writers." Ansgar Ødegård is an Associate Professor in Organization Studies at the USN School of Business. He has received a Master degree in Business Administration, and he works in the field of Process Studies, Corporate Social Responsibility, Social Innovation and Public Reforms. 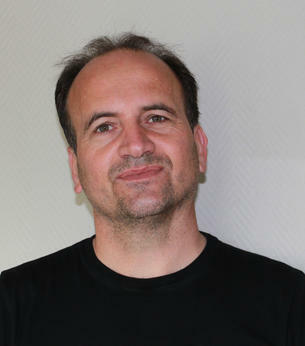 Ødegård is the former Dean at the Faculty of Social Sciences at University College of Vestfold and have been chairing the international programs in Corporate Social Responsibility in Buenos Aires. 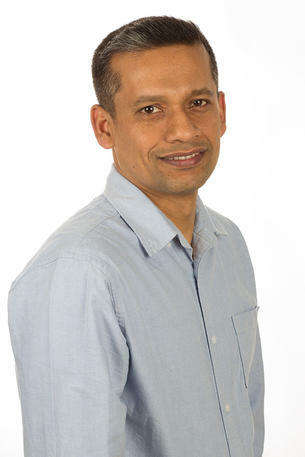 Chamara Kuruppu is an Associate Professor at the USN School of Business. He has received a Bachelor of Commerce degree from the University of Ruhuna, Sri Lanka and both M.Sc. and Ph.D. degrees from Bodo Graduate School of Business, Norway. He is an Adjunct Associate Professor at Nord University, Norway.